Australian folks had always impressed me as being rather clever and pragmatic folks. A recent post in Reddit once again proved this point. The concept is simple and cost is low in solving water pollution problem at the end of any storm drain. 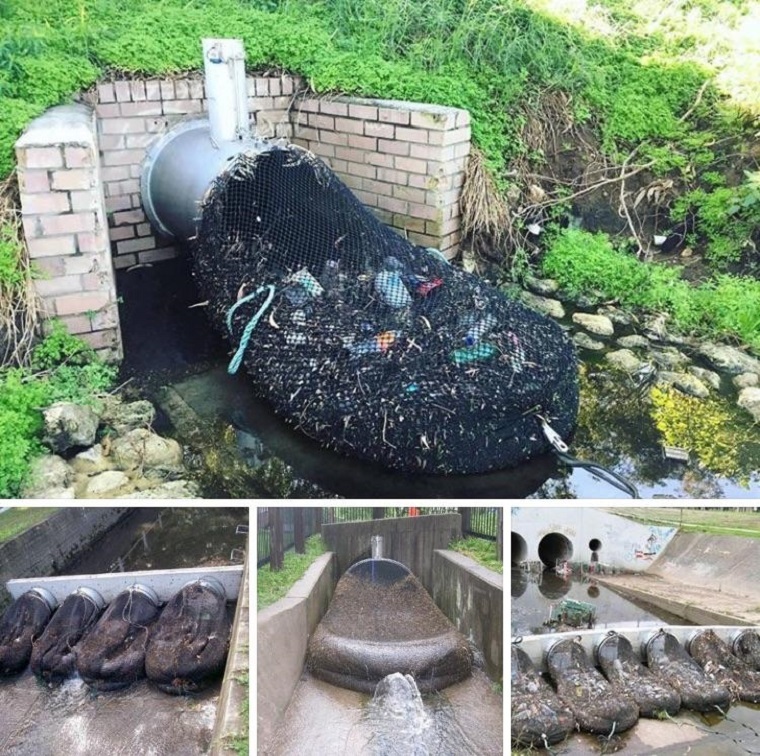 Aussies developed this simple and cost-effective filtering system in the photo images above, retaining 815 pounds (370 kg) of garbage to be recycled in the first 6 months of use. The City of Kwinana, in Western Australia, had hailed the trial of two new drainage nets a success in its journey toward less waste and increased sustainability. Aussies had continued to identify more suitable drainage points for further nets to be installed following this trial’s success. Perhaps communities from across the globe may also benefit from Aussies’ experience.